Alphedia Arara has been asked to bring forth this channeled Divine Mother Healing workshop to assist you with fully being in balance and embracing the universal mothering energies. When you are in alignment with the Divine Mother energy, the universe and Mother Earth is very nurturing for you. If you feel unloved at times, un-nurtured, or indeed the vibration of lack of support, this is because you are out of balance with the universal Divine Mother energies. In this workshop, Alphedia Arara will channel the energies of Mary Anna (Mother Mary) the Goddess Kwan Yin and also the energies of Archangel Haniel. Together you will be supported in a powerful healing journey to heal any mother issues, or issues with mothering you have experienced or are experiencing at this time in your life. You will work with the nurturing energy of Mother Gaia and you will also work on clearing past life mothering issues or imprints. Alphedia Arara channeled a Divine Father healing workshop, three months prior, and now this new workshop will support you in balancing the mothering energy vibration within your life. In this workshop Alphedia Arara will channel live the 3 deities. You will go on a self-realisation exercise supported by them to honestly and deeply look at the mother energy in your life and how this energy makes you feel. We will also look at how you would like your relationship with your mother to be or to have been or in the case of you are a mother, the type of mother you wish to be. We will then go on a chakra clearing meditation to clear any past life mother issues that are playing out in this life for you. You will also release any judgements you have towards the mother energy. You will then receive a Divine Mother healing attunement through Mother Mary. Archangel Haniel will then take you on a healing meditation, your energies will be attuned in this meditation to the frequencies of the mother codes. Kwan Yin will work on a sacral chakra alignment to assist you in establishing a better relationship with mother energy. You will then receive a soul realignment by Kwan Yin, this is an advanced energy healing form which will allow you to step out of any paradigms of consciousness with regards to the mother energies but are not serving your higher purpose. There will be an option for questions and answers where Alphedia will do live channeling, This is not for personal questions but questions about the mother energy. By bringing your mother healing energy into balance the universe becomes enriching, supportive and nurturing for you. Alphedia Arara will also download, channeled live from Mary Anna (Mother Mary), positive affirmation programmes to assist you staying in balance at all times with the Divine Mother codes of light. Throughout this journey Alphedia Arara will support you through sound healing with the Tibetan singing bowls, crystal singing bowls, drum and percussion. Alphedia Arara is a compassionate facilitator who is very experienced and able in supporting great shifts in consciousness to occur instantly for you. This topic can be difficult for many and she is available to support you in this workshop through any painful experiences in the past in order to let them go and be at peace and oneness with the mother energies. “Greetings, it is with great privilege we three come forth to support you at this time on Earth. We are here to nurture you; to nurture the inner child, to nurture any wounded-ness, any areas you feel unsupported by the Divine Source energies. We are carrying powerful codes of the Universal Mother and you will receive an attunement to the Universal Mother energies. For you have all been birthed through a physical mother and whether you have a relationship with your physical mother or not now, is irrelevant. For you are now ready to be supported by the Universal Mother energies. You will receive a sacral chakra alignment and attunement. For many feel lost in this frequency, loss with this frequency, in this chakra. We will work clearing any mothering issues or trauma from your chakras and your emotional body. You will receive a powerful healing from us, to assist you in releasing any painful memories of mothering situations, past life and present life. 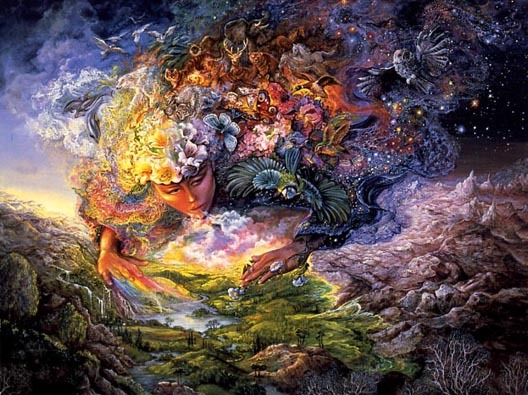 You will be supported in harnessing and connecting to the powerful wisdom and nurturing energy of Mother Gaia, to assist you in feeling supported and having your needs met whilst on this journey on Earth. We will also bring through personal messages to support you on your own unique path. This is an opportunity for you to expand yourself aurically, to receive more of the nurture vibration and energy, whether it be through the food you eat, the friendships you have, the relationships, your connection with Mother Earth, this workshop will help you feel more expansive and a deeper peace and happiness and contentment within. We will work on clearing belief patterns you have about being a mother, or about your own mother, and we will support you in your journey ahead at this time. The Divine Mother Energies programmed and infused into eight quartz crystals to assist you during meditation and whilst listening to the workshop. £30 plus carriage. Full instructions and packed in a carrying tin and pouch.